Want to hide AMP on posts/pages? It’s very simple. Just follow the below steps. If you want to hide AMP on specific posts, then simply hide it from the meta box. Edit the post which you want to hide in AMP, then at the right side you will see a meta box which says ‘Show AMP for Current Page?’ select hide and save the post. Add the below code in your functions.php or create a new plugin and add the code in it. Replace the ‘postid1, postid2, postid3, ….,postidn’ with the post ids of the posts on which you want to disable AMP. If you want to disable AMP totally from all pages then simply disable the ‘AMP on Pages’ option from Settings -> General. If you want to disable AMP only on few pages then enable the above option, and select ‘Show by default’ in ‘Individual AMP Page (Bulk Edit)’ option which is present in Settings -> ‘Hide AMP Bulk Tools’. After this Go to the page which you want to edit and select hide to hide that page in AMP. If you want to Disable AMP on Homepage, disable the Homepage support from Settings ->General. 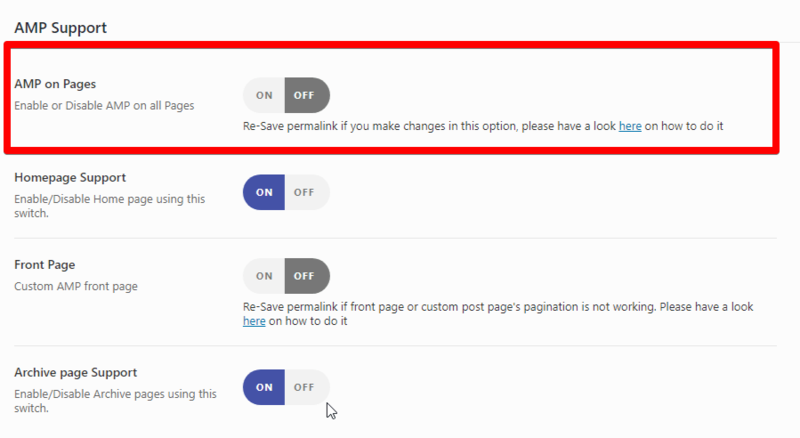 Note: Resave the permalinks if you face any issues after following the above steps.